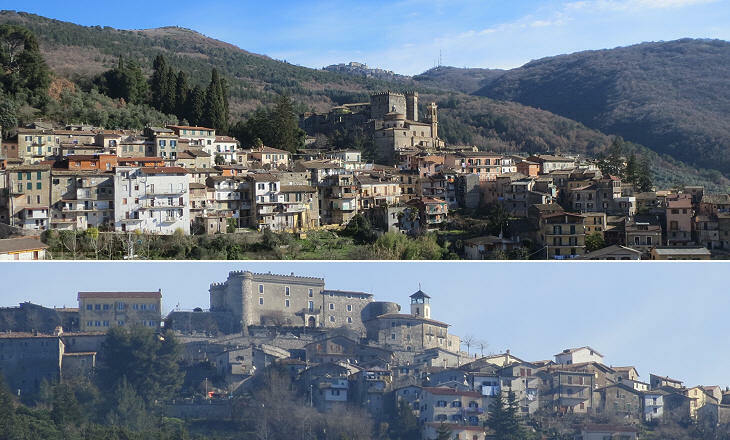 Anticoli Corrado is a town of less than a thousand inhabitants, located on the top of a hill overlooking the lower valley of the Aniene (Anio in Latin), a river called Teverone in the past, because it joined the River Tiber (It. Tevere) near Ponte Milvio. Anticoli became known in the XIXth century because its young inhabitants used to pose as models for the community of artists living near Piazza di Spagna. Some artists eventually went to see the birthplace of their models and found Anticoli a very picturesque site to the point of living there for some time. 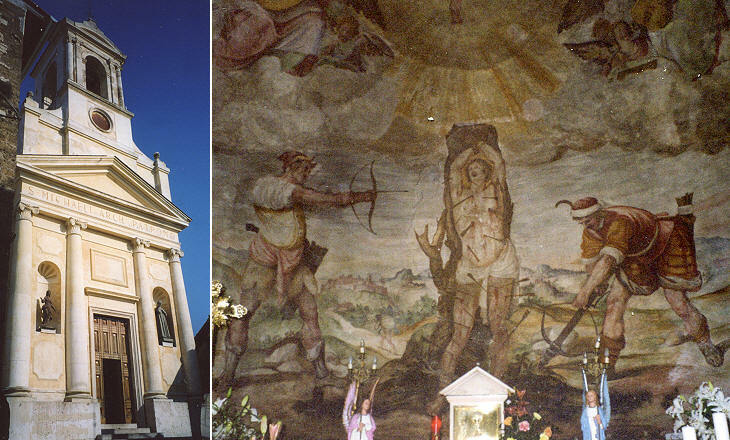 The town attracted artists until World War II. Anticoli and some of the neighbouring towns shown in this section were portrayed in many paintings. 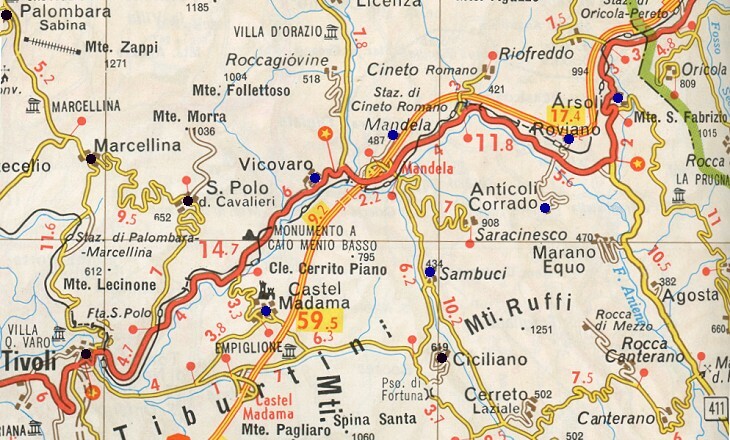 Anticoli can be reached from Tivoli following the modern road which is still named after ancient Via Tiburtina Valeria, a Roman road opened in the IIIrd century BC which was eventually extended to reach the Adriatic Sea. The development of the area owed a lot to Emperor Nero, who built a large villa in the upper valley of the Aniene, at a location known as Sublaqueum (today the town of Subiaco). 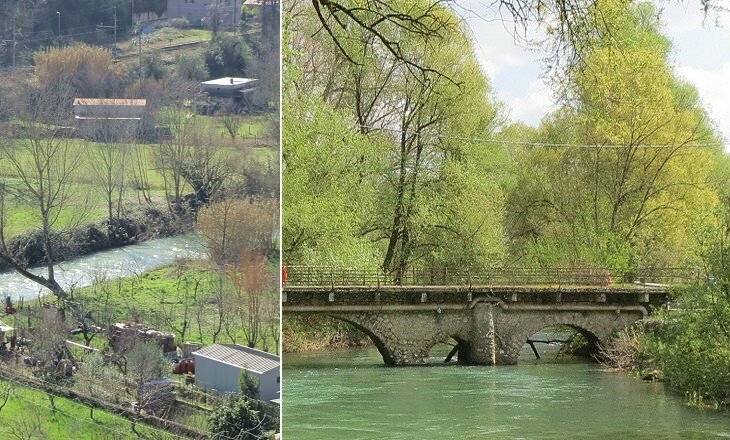 The development was also due to Anio Novus, an aqueduct built by Emperor Claudius, which ran across the valley. In the ancient past the valley of the Aniene was inhabited by the Aequi, an Italic tribe which the Romans subdued in the IVth century BC. Today it is renowned for its olive oil, which competes with that of neighbouring Sabina. 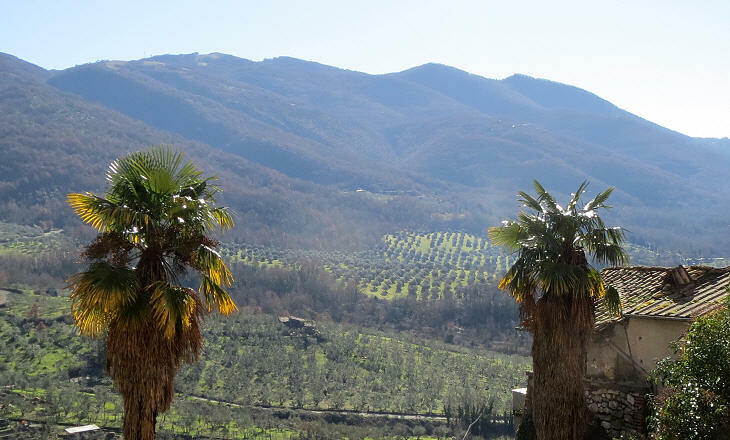 The climate however is colder than that of Sabina and olive groves are limited to the lower parts of the valley. The Orsini, one of the most powerful families of Rome in the Late Middle Ages, had many fiefdoms in the Aniene valley and in the mountains to its east. They held them as vassals of the Popes or as vassals of the King of Naples. When eventually a formal border was established between the State of the Church and the Kingdom of Naples, all the Aniene valley was included in the former, but the latter retained Oricola, a fortified town in a commanding position. In 1556 the Spanish troops of Don Fernando Alvarez de Toledo, 3rd Duke of Alba, invaded the valley from Oricola and sacked Arsoli and Vicovaro. In the past the view of Castel Madama from the Aniene valley was very picturesque and it attracted the attention of many painters. Today too many modern buildings hide the castle, while the view from the south is still fine. 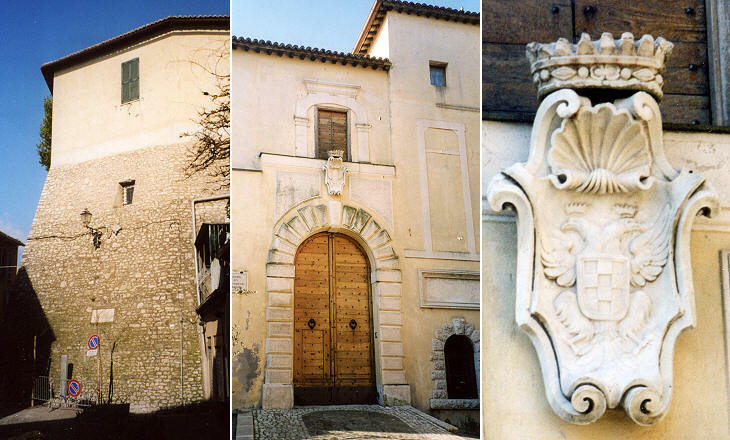 Castel Madama is named after Margaret, natural daughter of Emperor Charles V, who married Alessandro de' Medici, Duke of Florence, and then Ottavio Farnese, Duke of Parma and grandson of Pope Paul III. In England she is known as Margaret of Parma. In addition to Palazzo Madama and Villa Madama in Rome she acquired this fiefdom which included a castle built by the Orsini. This explains why the coat of arms at its entrance shows the double-headed eagle of the House of Habsburg. The image used as background for this page shows an old clock indicating the Italian Hour at Castel Madama.